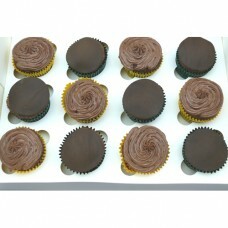 Enjoy these yummy gluten free / lactose free cupcakes. Perfectly sized for individual portions. 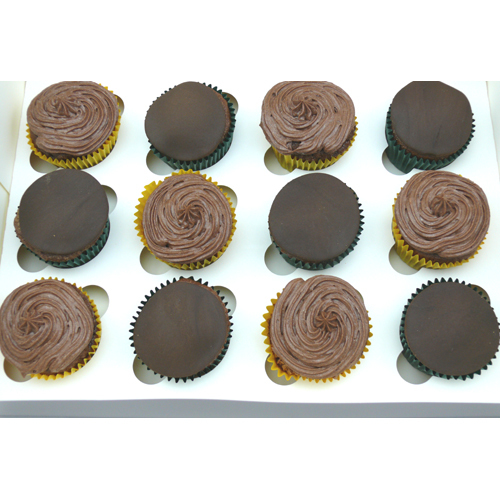 The creamy rich buttercream combined with the delectable cupcakes add an extra yum to your festive occasion. Add to that the feature that half is covered with fondant and you have yourself a selection that everyone will enjoy.You can choose up to 2 colours for your cupcakes (choose one colour from the drop down menu, and add the extra colour in the comments section). Sold in dozen lots, $37.50 for 12 cupcakes. Choose your cake flavour preference.